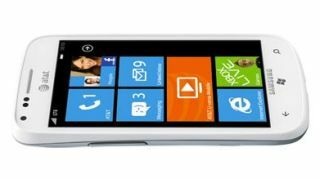 AT&T announced the Samsung Focus 2 - the next in Samsung's line of Windows Phones featuring 4G LTE support at a low cost. The Focus 2 is Samsung's first 4G LTE Windows Phone, and only the third Windows Phone AT&T carries. What's more, it will be 10.98mm thick and weigh about 4.3 ounces. The smartphone features a 4-inch Super AMOLED screen and runs on a 1.4GHz single core processor. A 5-megapixel rear camera capable of HD 720p video recording rounds out the device, coupled with a front-facing VGA camera. It will run on the latest Windows Phone 7.5 operating system, including all of the WP7 trimmings that go along with it. Live Tiles will update on the phone's home screen in real-time, populated with updates from calendars, emails, and social media feeds. It also includes built-in Bing search as well as Microsoft Office Mobile and SkyDrive for writing and accessing documents on the go. Priced at only $49.99 with a two-year contract, the Samsung Focus 2 will be available starting May 20 in "glossy pure white" color. So while the Focus 2's specs may not compete with the likes of the HTC Titan or Nokia Lumia 900, at that price it isn't exactly trying to. Instead, the Samsung Focus 2 is well positioned as the low cost alternative to flesh out AT&T's Windows Phone lineup. "AT&T offers our customers the broadest Windows Phone portfolio of any carrier, with three 4G LTE Windows Phones - the only 4G LTE Windows Phones in the U.S. - now at a variety of price points and form factors," said AT&T Mobility senior VP Jeff Bradley. "The Samsung Focus 2 brings the people-first Windows Phone interface together with AT&T's fast 4G LTE network for an unbeatable experience."